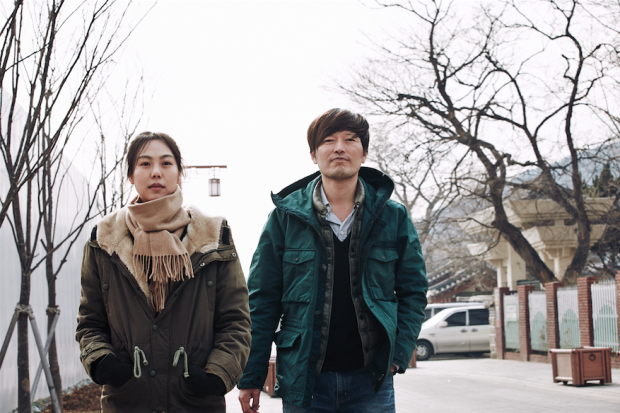 Rare is the occasion when distribution news is cause for celebration, but we liked Hong Sang-soo‘s Right Now, Wrong Then so much that its arrival in the U.S. — courtesy of a new outfit, Grasshopper Film — can mark something of an exception. So it is when one of our greatest living filmmakers gets a feature released in the U.S. for the first time since 2012. With that in mind, we’re exceptionally pleased to premiere Right Now, Wrong Then‘s U.S. trailer, which gives a taste of the movie’s hugely inventive structural choices, screamingly funny scenarios, and incisive relationship dynamics. Still not sure about what you’re getting? Don’t turn away if you’ve never seen a Hong movie — this one is a great place to start. Quite by accident, a film director arrives in town a day early. With time to kill before his lecture the next day, he stops by a restored, old palace and meets a fledgling artist. She’s never seen any of his films, but knows he’s famous. They talk. And together, they go to her workshop to look at her paintings, have Sushi and Soju. More conversation follows, and drinks, and then an awkward get-together with friends where all sorts of secrets are revealed. All the while, they may or may not be falling for each other. Then, quite unexpectedly, we begin again, but now things appear somewhat different. 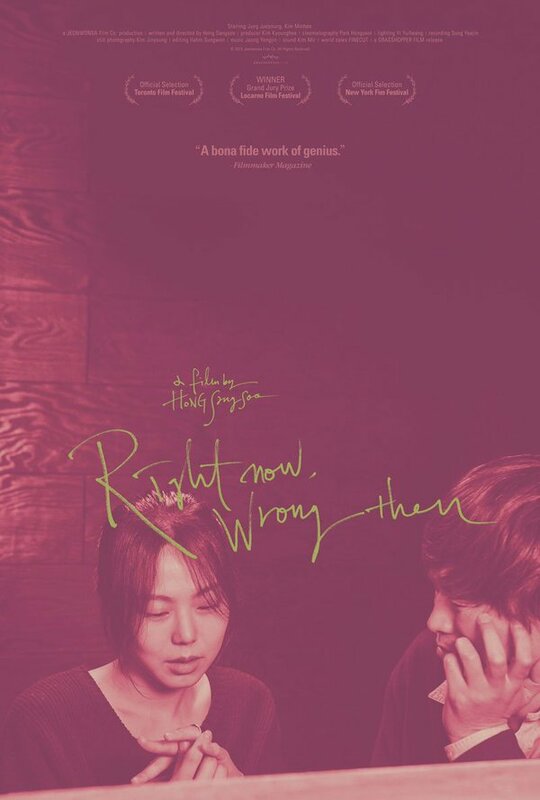 Right Now, Wrong Then will begin its theatrical run on June 24 at Film Society of Lincoln Center and Metrograph in NYC. See more details on Grasshopper Film’s official site.